Or maybe you never obsessed over a guy or a girl. But I bet that at some time in your life you’ve obsessed over something! There was a time in my life when I was obsessed with collecting comic books. Every month had a visit to the comic shop to get the latest editions to see what Superman, Batman or the X-Men were going to do next. Looking back it seems like a lot of money poured into something I no longer do…. What price were you willing to pay to satisfy your obsession? You can always tell how valuable a thing is to us by the price we are willing to pay for it (or the price at which you’re willing to let it go). The real value of an object isn’t given it by the seller. The real value of the object is given it by the buyer – how much is it worth to you? You can see this when you look at some of the items sold on E-Bay and the prices paid for those things. I found a pet rock for sale on EBay. It came with a nice cardboard box, a nest, and an instruction book on how to care for and train your rock. What would you be willing to pay for this? The high bid – $28. Um…really? Life is hardly worth living without an obsession. God himself is obsessed. With His creation. With humans. With the love of humans. You think he created with nonchalance? Let’s throw some mud against the sky and see if any of it sticks? Not a chance. We are created for love, for obsession. So we do indeed obsess, though usually not over the right idea. God himself is an obsessive God, obsessed with his love for his creation, for us! Remember that the value of something isn’t determined by the seller’s price, but is determined by the price the buyer is willing to pay. In His obsession for us, he couldn’t have paid a higher price than he did – the cross. This is the kind of obsession we need to have towards God – a single-minded fixation that puts no limits on the cost. When we understand this kind of obsession some of the crazy stories in the Bible don’t seem so crazy. When you’re obsessed with Him you’d be willing to build a big boat in the middle of the dessert. When you’re obsessed with Him you’d dance in worship without caring what your wife thought of you. Jesus himself even talked about obsession for God in Matthew 13. He told his disciples a parable about a man who discovers a treasure buried in a field. Wanting that treasure more than anything, he re-hides the treasure, sells off everything he owns, and goes to buy the field. Unethical – maybe a bit – but the point is that we need to be fixated on finding God. That’s all well and good, but how do we get to that point of obsession? It’s not like we can simply turn it on at will. True, we can’t turn it on at will. A friend recently said to me, “I’ve been a Christian for a while. I’ve read the Bible. I know what I’m supposed to think and what I’m supposed to do. But what’s next?” I think that this sums up where many of us are. We know what we’re supposed to know. We’ve heard sermons and been to Bible studies. 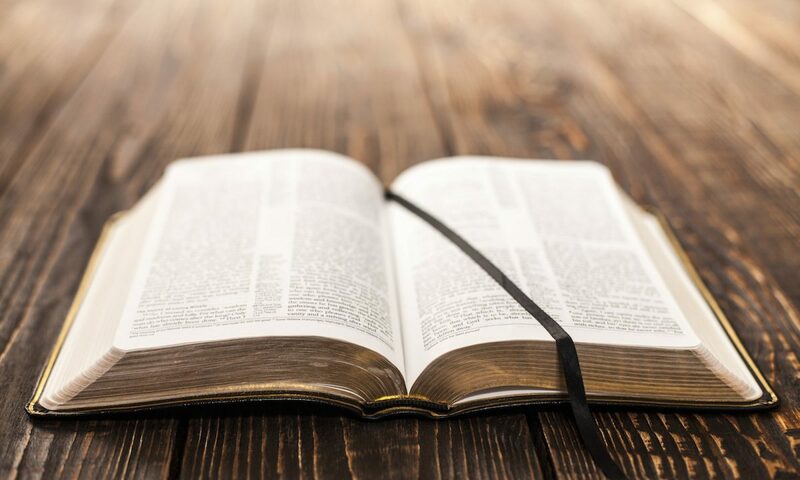 If someone asks us what it takes to build your Christian life we can faithfully recite the answers without even thinking about it: read the Bible, pray, fellowship, obey. We know all that. So what is next? How do we get to the deep end? How do we discover that obsession within our souls? There are few images in the Bible that are as unsettling as this. There is no doubt in anyone’s mind that this is a troubled soul. Jewish teaching held that there were 4 tests for insanity: 1) a mad person sleeps in graveyards, 2) a mad person tears his clothing, 3) a mad person walks around at night, and 4) a mad person destroys anything given him. In this one person we find all 4 tests fulfilled – what we have here is a madman, and every word of his description emphasizes his pathetic condition. Here is a man who is made in God’s image and the unclean spirit causes him to horribly distort that image. It makes one ask, “Is there anything happening in my life that distorts God’s image in me?” Though we here may not be struggling with actual demons, we do struggle with things that distort God’s image in us – anger, hate, jealousy, or lust, to name just a few. We see several interesting things happening at the same time. Look at what the demon is saying to Jesus – he addresses Jesus by name and says, “I adjure you by God.” In Jesus’ time, if one wanted to perform an exorcism, one needed to know the name of the spirit. When you knew its name you had power over it. Then you could command it under oath (adjure) to leave the body it inhabited. What the spirit is doing here is trying to exorcise Jesus! “I know your name – you are Jesus. I command you by God, leave me alone!” The irony is rich. He thinks he can take on Jesus in a power encounter. But it’s all talk – no one can outdo God. No one can contain Jesus Christ. It doesn’t matter who you are or what’s going on in your life, Jesus is ready to encounter you! This man came from the tombs. He was considered unclean and untouchable, but Jesus doesn’t stop this encounter – he welcomes it. That’s encouraging news for us. No matter what our problems, our flaws, our addictions, or our demons, Jesus stands ready to encounter us. But will you run to Him and fall at His feet? 9Then Jesus asked him, “What is your name?” “My name is Legion,” he replied, “for we are many.” 10And he begged Jesus again and again not to send them out of the area. 11A large herd of pigs was feeding on the nearby hillside. 12The demons begged Jesus, “Send us among the pigs; allow us to go into them.” 13He gave them permission, and the evil spirits came out and went into the pigs. The herd, about two thousand in number, rushed down the steep bank into the lake and were drowned. The name “Legion” has ties to the Roman army. A Roman legion was made up of anywhere from 3000-6000 troops. And you thought you had problems! Of course, this could be one final attempt on the unclean spirit’s part to put a scare into Jesus! But it’s evident who is in control. The person in control doesn’t beg, and the demon has been begging Jesus since Jesus arrived. They beg permission to go into the pigs and Jesus permits it. And the first thing they do upon overpowering the pigs? They destroy the herd. 14Those tending the pigs ran off and reported this in the town and countryside, and the people went out to see what had happened. 15When they came to Jesus, they saw the man who had been possessed by the legion of demons, sitting there, dressed and in his right mind; and they were afraid. 16Those who had seen it told the people what had happened to the demon-possessed man—and told about the pigs as well. When God starts to do stuff, people can’t help but talk about it. This is part of the power of personal testimony. I saw God do something and you’re not gonna believe it! If God starts doing something and we tell people about it, you’d better believe they will come out to see for themselves what’s happening. So the pig herders go to tell the town and countryside what they saw – when everyone returned they see the whacked-out crazy guy sitting by Jesus, clothed and sane. When they encounter Jesus, people do change. Before, this man had been in an unbreakable grip of destructive evil; now Jesus has shattered the grip of evil and restored him to full human life. It is encountering Jesus that heals the sick. It is encountering Jesus that breaks addictions. It is encountering Jesus that restores relationships. We need to have a face to face encounter with the Living God! But not everyone is happy with what has happened. The response of the people is fear – not of the once crazy guy – they fear Jesus! He has demonstrated supernatural power and an authority over the spiritual and natural world. If he cast the demons out of all of the sick people, there wouldn’t be enough pigs and livestock to hold them all. Every farmer and rancher would go out of business! The locals are apparently more concerned with their way of life than for the life of this man or the Lord of Life standing before them. Are we more interested in “business as usual” or the power of God to deliver our disordered lives and the lives of those around us? Sometimes we can start to see God as a concept, an idea by which we should live our lives. It’s when we start to think like this that we begin to care about business as usual. But God is not an abstract thing – God is the creator and giver of life and His power can deliver our disordered lives and the lives of those around us. Oh, how we need an encounter with Jesus. What a life turn-around. He goes from being demon-possessed to being Jesus-obsessed. He has had an encounter with Jesus Christ and is forever changed – he becomes obsessed. And Jesus sends him out to spread his obsession to others, and all the people were amazed. Now we’re back full-circle: What is your obsession? Do you have a single-minded fixation on God? I believe that we know what we needs to know – at this point going deeper is going to mean developing the personal experience of God and his love and power. We need a fresh encounter with the Lord of Life, so that we can be healed, restored, set free, and set loose to obsess about God and spread our obsession everywhere we go. The demoniac would not have had his encounter with Jesus if he hadn’t run to Jesus and fallen at his feet. That’s where we need to be. Seeking God and asking him to encounter us, to intervene in our lives. 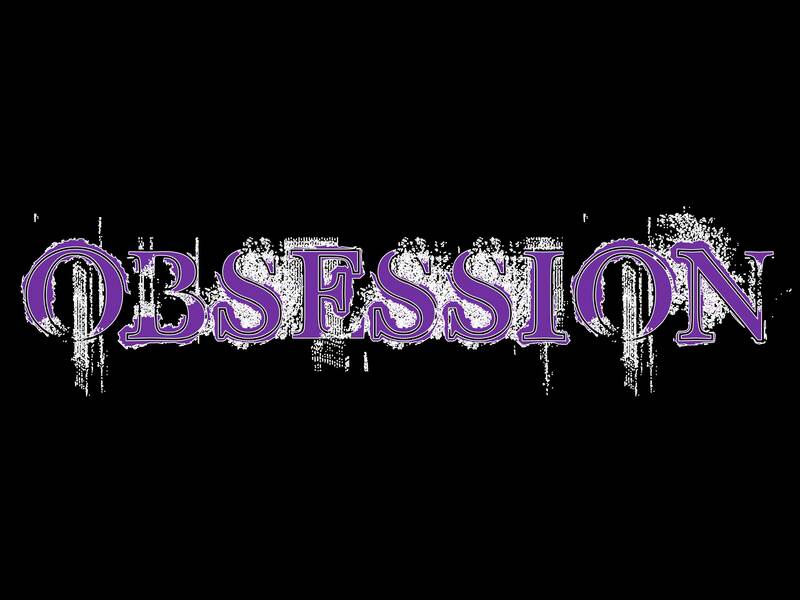 The Christian band Skillet writes in their song My Obsession, You’re my only infatuation…My purpose, my possession, live and die in my obsession, my obsession. Previous PostPrevious No Pain Like Lego Pain!